Figure 1. Raw Water Pump. Using retaining ring pliers, remove snap ring (Figure 2, Item 3). assembly from shaft (Figure 2, Item 4). Repeat Step 8 to remove seal seat (Figure 2, Item 6) and gasket (Figure 2, Item 7). Figure 2. Seal Seat and Gasket. Place housing (Figure 3, Item 5) with drive gear (Figure 3, Item 3) in vise equipped with soft jaw vise caps. Remove hex nut (Figure 3, Item 1) and lockwasher (Figure 3, Item 2). Discard lockwasher. Remove drive gear (Figure 3, Item 3) from the vise. 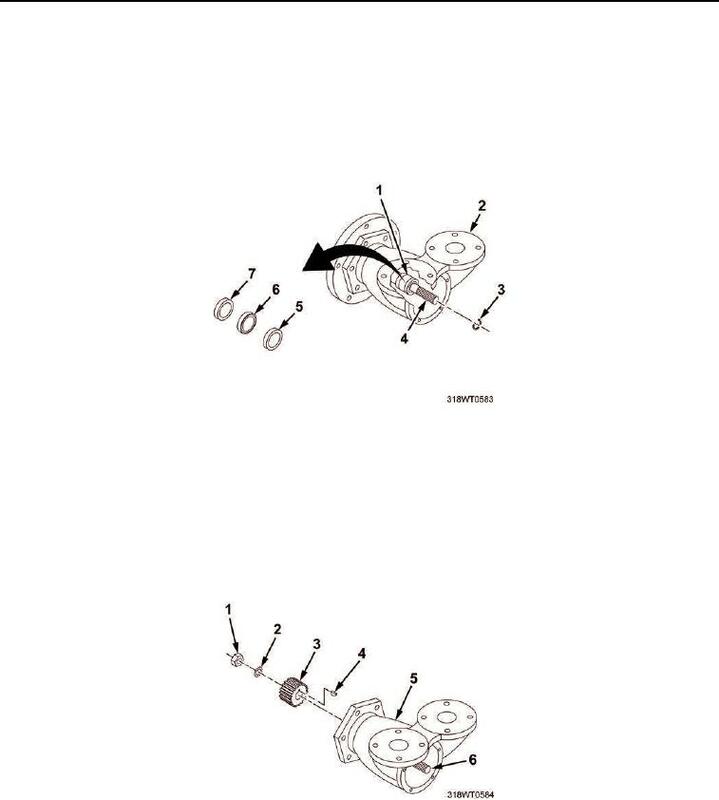 Using puller set, remove drive gear (Figure 3, Item 3) from shaft (Figure 3, Item 6). Remove woodruff key (Figure 3, Item 4) from shaft (Figure 3, Item 6).